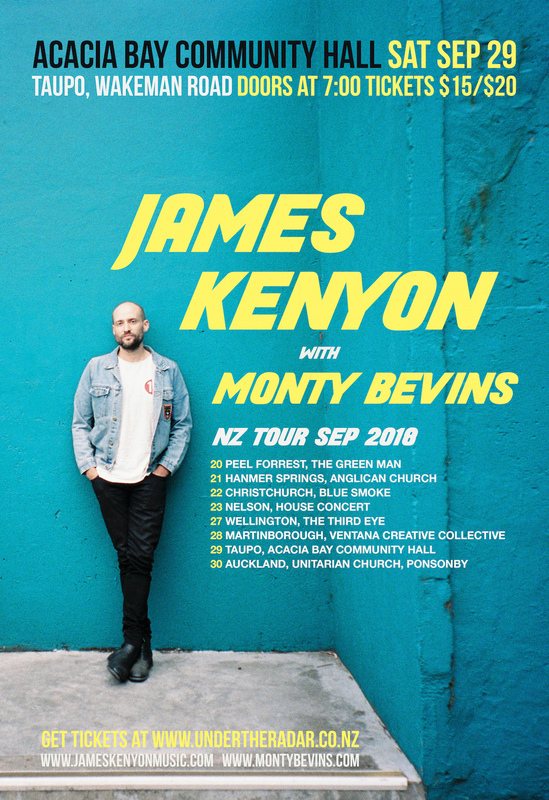 Australian songwriter James Kenyon is returning to Aotearoa this September for an 8 date tour that will include Christchurch, Wellington and Auckland. He'll be joined by New Zealand favourite and hardest working troubadour Monty Bevins. For this particular show the evening will be opened by prolific local musician Jersey Bob.